Where big ideas come to life. Full-service firm, specializing in web design, graphic design, marketing, branding, advertising, SEO, video, photography & more. Big Gorilla Design offers: creativity, talent, knowledge, experience, innovation, and top-notch quality & customer service. Think of us as a partner in the joint venture of bringing your company success. We work closely with our clients, spending time getting to know you & your company in order to ensure the most effective solutions & results. 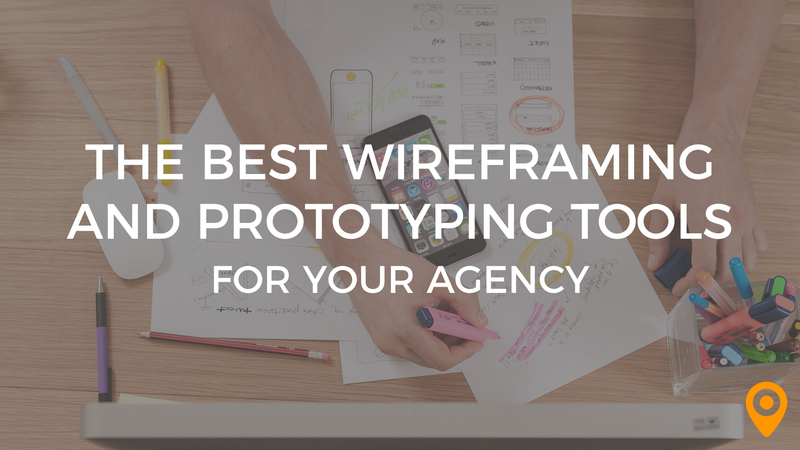 Whether you're looking for free or more advanced wireframing tools take a look at these top picks to take care of your agency's needs. They have a real breadth of knowledge & understanding about their field. They handled our design, marketing and brand development. I've been impressed with their ideas, their creative, their strategy (I'm a strategy guy), and the results. Not much. We can be a demanding firm, and they meet our demands with grace & aplomb. Positive. We've gotten tons of compliments on our rebranding & our website. They did a great job on our video & photography. Our SEO has shown impressive improvement - we went from barely registering to ranking on the 1st page for some of our keywords after only a couple of months. After completing our website design, they continue to maintain it. In the last incarnation (prior to hiring Big Gorilla), the company who designed our website wouldn't maintain it, so this was a benefit. They get back to me quickly. They're genuinely good folks, who care. I feel I can trust what they recommend; they're protective of my budget, and don't try and sell me on everything. They weren't the cheapest company & they weren't the most expensive. Our firm found them to be very reasonably priced. We liked Big Gorilla's open mindedness towards our thoughts and ideas. There was nothing that we did not like with Big Gorilla. We would recommend them. Big Gorilla Design was great to work with - we would highly recommend them for your website design. I appreciated the personal attention my business received, their creativity & the ideas they developed to promote my business, their responsiveness, and communication. And of course the increased business. They're a very talented, personable, intelligent and knowledgeable team. I had a very positive experience, and I'm pleased with the results. Nothing negative to say at all. Big Gorilla Design helped me with my PPC campaigns & SEO, after doing a fabulous website design. I am still working with them & my sales & leads have improved dramatically since I started with them. I have since worked with them on developing a full marketing strategy. Overall working with them has been a wonderful experience, and I have been very impressed with their knowledge, attention to my company, and the ongoing results. Monica and Dave at Big Gorilla Design are hands-on. They are knowledgeable, personable, responsive and innovative. I have been working with Monica and Dave for about a year, and have found nothing that doesn't meet my needs. My real estate company has a lot of needs in our rapidly changing business environment, and Monica and Dave try to keep us ahead of the curve. They are honest, hard working and reasonably priced, plus, they don't drop the ball...they are very diligent and responsive to my demanding needs. Monica and her team met with us to discuss our five year old website and BG Design did a full life cycle implementation within 4 weeks. Monica came up with a new concept and stye for the website and it's everything we imagined and more! Our sales are converting at a higher rate and she told me every little thing that was off on our site to fix it. She revamped our PPC campaigns and we are enjoying higher sales. Cannot say enough good things about Big Gorilla Design. I am the owner of Mosaic Weighted Blankets. I am not technical and was afraid (for years) to redo our website. We have been on the first page of google and was afraid of a drop after redesign but we have actually gained ranking since the redo. Big Gorilla Design made our site work so well on all devices, especially mobile that we are looking forward to a great future. Monica is creative and technical and they are well versed in several EComm packages so we had lots of choices. Mosaic Weighted Blankets had talked with some places before that made us feel like we couldn't do this or that, and didn't get that feeling this time. And the website design is beautiful and easy to use on the backend. I also feel that the Big Gorilla Design was competitive with other quotes that we had. For architecture and EComm Cart selection and implementation this was the best possible choice we could have made for our business. We are not working with them to design a solid marketing strategy besides PPC and looking forward to being able to tap them for anything that we need. Whether you are a local business that needs to touch your local market, or a niche market (like weighted blankets are) and need to rank higher with your SEO and convert sales, I think Big Gorilla Design is a great choice. My website is visually stunning, easy to navigate, and unlike anything I have seen. The feedback I have received about my website has been extremely positive. The detail work was tedious and the learning curve for me was daunting, but they were great in getting me up to speed. I had an overall vision for the look and feel for james plate.com, but the finished product exceeded my expectations. I wanted to be closely involved in the development process and the Big Gorilla Design Team kept me in the loop at all times. We were able to establish a great rapport and they truly took ownership in wanting my website to be equally beautiful and effective for my business. I highly recommend their work! The work they’ve done for me has been great. When we first met, I had met with a lot of other companies in Austin, what I liked about Big Gorilla Design is they genuinely seemed to care about their clients. And they do great work and were reasonably priced. Nothing I don’t like, they’re great. They did an excellent job designing my website. They are extremely easy to work with. I felt it was a real collaborative process and they brought some great ideas to the table. They're now working on my SEO and I've already started to see improvements. I'll be using Big Gorilla for future projects and recommending them to others. So far it's been great, nothing negative to say about this team. They took the time to learn about what I wanted and didn't come in telling me what they were going to do. I appreciated that. They certainly pointed out many things that I hadn't thought of, and were great at communicating and keeping me in the loop. I'm very happy with the Web design and though we're still in the initial stages on the SEO, I'm pleased with where it's going. This is a phenomenal team to work with. They listen to your needs and work with you to get the desired result. I've used them for everything from web design to graphic design to marketing. And I'm always happy with the work they do. I've been working with them for about 5 years now. I love the design work they do and they're also really great marketers. They also always get back to me quickly. I've worked with companies in the past that would take days or weeks to get back to me or would disappear. It was very frustrating. So it's great to not have to worry about that. And to really know that my needs are being handled by a team of professionals. I don't think there's anything I don't like. I really couldn't imagine working with anyone else. In the past 5 years, I've used them for 2 different web designs. I was extremely happy with both, but after 5 years, it was time for a refresh. Along the way they've done additional graphic design work for me and have handled my marketing. They also did my logo. Their work has really helped us grow and I guess that's a big part of how you'd measure an experience. Also, working with Big Gorilla, I really don't feel like I'm just being sold a bag of goods. They build relationships with their clients, and they're authentic. This makes a difference, not only in the back and forth communications but in the work that they do for you. I've recommended them to others as well, who have had similar experiences and also love working with them. It's been a great experience overall and I completely recommend this team. They actually deliver what they promise, very rare in the internet marketing world! Can't think of any negatives off hand.